Isn't it a beautiful book cover? Made me want to read it as soon as I saw it! But Bylin's new book is more than just a pretty cover, it contains a solid, sweet and riveting read! 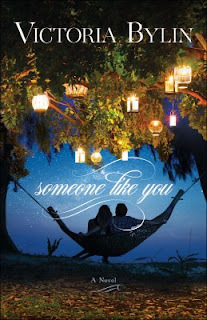 Not only is the read worthwhile, but Litfuse Publicity Group is hosting a giveaway contest where YOU can WIN a FREE copy of Someone Like You! Visit the official link for the giveaway here. The contest ENDS on May 31. The winners will be announced on June 1 on the Litfuse blog. See the link for details. Meanwhile, enjoy my review of Bylin's book! I loved this book, Someone Like You, written by Victoria Bylin! The story centers on Julia Dare, a woman who’s learned life lessons the hard way, and her college sweetheart Zeke Monroe. When Julia is sent to Caliente Springs on business, she stops Zeke’s heart (not literally). Seeing Julia again is like a walk down Memory Lane for him and he finds feelings that he’d locked away breaking through to the surface. But time, along with trials, has changed both Julia and Zeke. Julia has a son with her ex-beau Hunter, who is a world-class player and someone who she does not want in her life. Zeke’s had a fall from grace and still struggles with the effects of his bad decisions. The reader realizes from the start that if Julia and Zeke are going to rekindle their romance and work as a couple, they have to overcome their inner and outer struggles. The author takes the reader by the hand at the start of this story then lets them run wild with the characters and enjoy the journey through the end. She writes in a way that you feel like you’re watching a romantic drama on the big screen. The A-story (main focus) is about Zeke and Julia but there’s also a B-story (subplot) that focuses on Julia’s Mom, a widow who finds love again. The main and subplots are written with great skill and care. The author makes her character’s life and backstory realistic and addresses issues that happen in this modern day world. It’s clean fiction but it’s very real too. The characters wrestle with issues like purity, innocence lost, regret, hope, heartbreak and second-time-around romance. It truly is an enjoyable read worth every ounce of a five-star rating! Bravo, Bylin, for a book that’s memorable and beautiful! *Litfuse Publicity Group provided Alexis A. Goring with a complimentary copy of Someone Like You in exchange for an honest review. · Who are my main characters? · Where and when does this story take place? · Who are my secondary characters and how does my subplot tie into the main story? · What Dark Moment in their past shaped my main characters’ emotional makeup? · Where are my characters in their relationship with God? Yes, my characters are fictional. But as I plot chapters, I often wonder: If these were real people, what would they need to learn about God? As the author of my books, I know that my characters have made choices that have hurt them and others. This is all backstory. I also know that in the story I’m writing they’re going to make other wrong choices – or be affected by the wrong choices of others. All of this influences their (fictitious) relationships with people … and with God. I weave my worldview into my stories, and so my characters struggle with their faith. Sometimes my characters struggle to even accept there is a God who loves them and wants to have a relationship with them. When I ask the question, “Where are my characters in their relationship with God?” that question echoes back to me. Oftentimes, God works with the spiritual thread I’ve woven through my characters’ lives. When I wrote my upcoming release, Almost Like Being in Love, I knew that Caron, my heroine, struggled with feeling significant. She sought approval from a certain someone in her life, rather than setting her heart on God’s assessment of her. God’s “where are you?” prompted me to reexamine my past tendency to seek approval from others, rather than to trust who God says I am – and to be content with that. However, when I wrote my 2014 release, Somebody Like You, God surprised me with the spiritual journey He took me on. Somebody Like You deals with two twin brothers who are estranged. This was a carefully thought out plot point on my part. Never did I imagine that during the time I wrote this novel that I would become estranged from my own family of origin. Experiencing emotional separation from my family truly broke my heart and made it difficult to write. But because God is sovereign, he was not surprised by this upheaval in my life. I had to trust God as never before during this time as my characters’ struggles became my own. Now whenever I start mulling over a new story, I anticipate the story unfolding; meeting new characters, devising challenges for them to face, and discovering how they change from the beginning of the book to the end. But I also know God will use the process to ask the question, “Where are you, Beth?” And by the time my manuscript is finished, I will be changed, too. 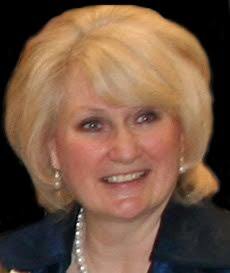 Beth K. Vogt believes God’s best often waits behind the doors marked “Never.” Beth is a 2016 Christy Award finalist, as well as a 2015 RITA® finalist, and two-time ACFW Carol Award finalist. She continues her destination wedding series with You Can’t Hurry Love (May 2016) and Almost Like Being in Love (June 2016). Visit Beth at bethvogt.com. 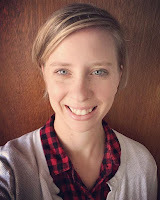 Let's welcome Sarah Monzon to the blog again! Yesterday, you got to know her better via her author interview celebrating her book release. Today, you get to read an excerpt from her new novel, Finders Keepers: A Carrington Family Novel, Book 1! Exciting, right? 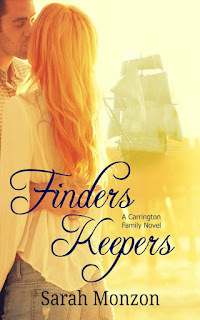 You also get to read my review of her book and when you reach the end of this post, you have a chance to WIN a copy of Finders Keepers for your Kindle! Just fill out the entry form on the Rafflecopter widget. The plot is deeply layered. Monzon’s writing has improved by leaps and bounds after her debut novel, The Isaac Project, was released in Sept. 2015. She was already a good writer, but Finders Keepers made her GREAT! The author does a wonderful job of weaving themes of faith and life lessons into the fabric of this perfectly paced story. The characters are complex yet captivating. Every scene builds conflict and tension, keeping the reader interested and eager to know what happens next. It’s my favorite book by Monzon so far and totally worth a five-star rating! Summer's cell vibrated on the desk next to her outstretched hand. The ID registered a number she didn't recognize. She tapped the green Accept button. The door to her studio pushed open, and there stood Trent. All six foot plus of him. The sun shone through the open door, causing his blond hair to glow like gold. One side of his mouth whirled up in a lopsided grin. Her breath whooshed out of her. From irritation. Obviously. The reaction couldn't have been for any other reason. Summer looked at him. She took in his laid-back manner, the way he was quick to smile, and the ease in which he charmed. For goodness’ sake, the man thought all he had to do was smile and he'd get his way. She pursed her lips. Already she'd given in to him, but that was because she needed some edgy photos for Our World, not because he'd smiled at her, said pretty please, and made her go all gooey inside. She met his gaze and took in the cocky slant of his eyes. Her jaw clenched. He thought he was so irresistible. One look, one smile, and she'd fall all over him. Not going to happen. His head tilted as if thinking it through, then his eyes bored into hers once more. "No. Not everything is worth pursuit. But when I find something special, something precious, a treasure of immeasurable wealth, I'll do everything within my power to claim it as mine." 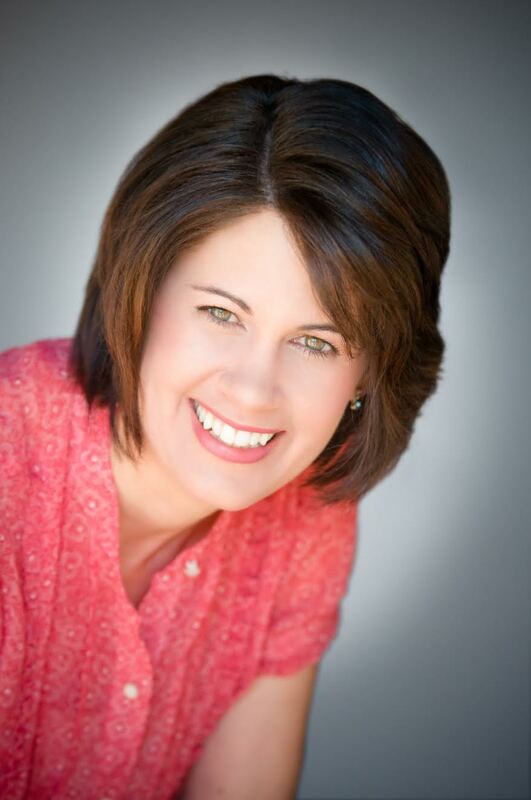 Sarah Monzon is a pastor's wife and a stay at home mom to the two cutest littles in the world. Playing pretend all day with them isn't enough, she spends the evenings after their heads hit the pillow to create her own imaginary characters. When she isn't in the world of make believe, she can be found in a small desert town in central Washington taking care of her family, fostering friendships, and enjoying all the adventures each day brings. Lovely, isn't it? It releases today (Monday, May 23)! If you can, leave a comment for Sarah toward the end of this blog post, congratulating her on the "birth" of her newest novel. Today, Sarah's taken the time to answer my questions about her new novel. *Words by Alexis are in bold, words by Sarah are not in bold. Alexis: Congratulations on the May 23 release of your new novel! How does it feel to have another book on the market? Why did you write Finders Keepers? It was the story God placed on my heart to write. I know that may sound like a simple, cliché answer, but it’s the truth. He’s the one who planted within me the love of words and story, and He is the one pushing me to share those stories with the world. Explain what the term “dual timeline” means for those who may not know. Then explain why you took this approach to writing Finders Keepers. Dual timeline is a book that has two different timelines, and in essence two different stories, woven together to make one “big picture” story. When I started Finders Keepers, I hadn’t planned on making it dual timeline. The thought didn’t enter my head until after I’d written the first two contemporary chapters. Then I went back and started the story from Isabella’s point-of-view. And I’m so glad I did! Summer Arnet is the modern heroine. Tell us about her role in this story. What is she like? What makes her mad? What or who makes her happy? Why is her passion photography? Summer has always wanted to be a photographer with the nature magazine Our World, but the publication’s editors don’t think her work is edgy enough. When treasure hunter, Trent Carrington, offers to split the loot in a sunken ship, she’s initially outraged at his plans at pirating, but eventually agrees in an effort to attain her dreams…and regrets it with each wink and smirk Trent throws her way. What is it about Summer that makes Trent want to become a one-woman man? She challenges him. She’s spunky and sassy and sees things in him he’s been trying to deny. She makes him face his past and is there to help him through the pain he’s been living with every day. What is it about Trent that screams “caution” to Summer all the while making her heart beat out of her chest with desire? Trent is a Harley-riding, leather-jacket-wearing, tattooed, hopeless flirt. He never takes “no” for an answer, and she suspects not many women even say the word to him. It drives her crazy that his crooked grin gives her heart palpitations, but she’s determined not to fall for that kind of man. Isabella Castellano is the historical heroine on the side of your dual timelines that deals with the past. Tell us about Isabella. Where is she from? What is she running from and why? Isabella lives in 17th Century Spain. Her stepfather isn’t the most noble of men, in fact she blames him for her mother’s death. So, when he turned his attentions on her, she flees—in a rather dramatic way. She steals some of her stepfather’s clothing and masquerades as a cabin boy on one of his majesty’s treasure fleet. What makes Isabella special? Describe her role in the story. Isabella is a mixture of vulnerability and stubbornness. She hides her fears behind a mask of false bravado, but in so doing, accomplishes more than she ever thought she was capable of—saving lives, uncovering mutinous plots, and surviving life-snatching storms. If you could spend one day with one of your Finders Keepers characters, who would you choose and what would you do? Why? Oh, that’s a hard one. Hmmm… maybe Captain Montoya could teach me how to sword fight. Because, seriously, wouldn’t that just be so fun? What do you want your readers to treasure most about this novel? I hope everyone is reminded that they are children of God. Not just in name, but really and truly God’s sons and daughters. 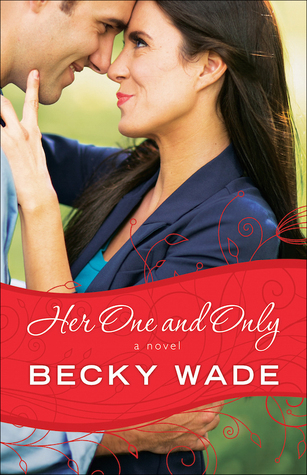 Blog tour: Becky Wade's new novel, "Her One and Only"
Today, we're expecting guests because my blog "God is Love" is the May 21 stop on Becky Wade's blog tour coordinated by Litfuse Publicity Group! Let's welcome our new visitors with a hearty "hello"! Now here's the exciting news for you: Thanks to Litfuse Publicity Group, YOU have a treat toward the end of my blog post. Litfuse is giving away free treats related to Becky's book! Read the details from Litfuse after my review of Becky's book for details. In a story that’s reminiscent of “The Bodyguard” movie starring Whitney Houston (the star) and Kevin Costner (the bodyguard), seasoned author Becky Wade does not disappoint. Becky’s new novel, Her One and Only, is the (fictional) story about NFL superstar Gray Fowler and tough-as-nails former Marine Dru Porter. Gray is in danger because a crazed fan wants to kill him. Dru is assigned to be his “executive protection agent” (she does not being called a bodyguard) and from the start, Gray is doubtful. He’s hesitant to believe that a woman half his size can protect his life. At the same time, he’s caught off guard by her beauty and intrigued by her wit. As the story progresses, he finds himself falling in love with this woman but Dru isn’t falling for him because she’s still reeling from a painful past that almost cost her career. Despite her guard which is raised high, Gray’s making quite the impression on Dru’s heart and no matter how hard she tries to fight his charismatic pull, she eventually finds herself being drawn to him. Meanwhile, she’s busy posing as his girlfriend to keep him safe. It’s the only way that she can maintain her low profile as his executive protection agent and Gray is having a ball with it. He teases her and makes up stories about how they met to share with his friends. But his jovial act is rained on when the plot takes a turn for the worse—while out to dinner with Dru and friends, his stalker takes a shot at him. The stalker, whose identity is not yet revealed to the reader, fires bullets through the restaurant window, aiming for Gray. Dru tackles Gray to the ground and that’s when the serious work of finding Gray’s killer and the danger involved, becomes more intense and draws the reader’s nose deeper into the book. The author does a fabulous job of keeping the reader’s attention as she builds tension with each scene in the story. She knows how to captivate the reader’s attention with an action-packed, curiosity-raising prologue that makes the reader dive into the story headfirst. The plot thickens from chapter to chapter, the dialogue is fresh and engaging, the characters are believable and likable. The entire book is an intriguing love story packed with plot twists, danger and sweet moments that make it like no other. I’d like to congratulate Becky Wade for writing a story that captivated me as the reader and made me envision the entire story as an award-winning movie. Let’s hope that’s foreshadowing to Hollywood making “Her One and Only” into a box office hit. I’d recommend this book to anyone and everyone who loves a good story packed with intrigue, romance and plot twists. “Her One and Only” is a gem. Some years ago, I moved my family hundreds of miles to take a new job. One day, only four months later, my boss called me into his office and told me he had to let me go. I went numb all over, my limbs like rubber. How could this have happened? He’d made no complaints about my work, and we got along well. At least, he gave me a month’s notice. When I regained sufficient strength, I got up, told the secretary I was leaving, and escaped. I had no particular destination in mind, knowing only that I had to get away. I sat in the car for a few minutes, head spinning, before I remembered a tranquil spot near the Mississippi River. Only God’s grace kept me and other motorists safe as I negotiated crowded city streets and winding country roads en route to my destination. Filled with rage, I parked not far from the river. It’s not fair. How could he do it? After all my excellent work? After a few moments, I exited and followed a path a short distance down an embankment and stepped up onto a mammoth boulder, which extended out into the channel. The muddy water swirled and eddied below me as the current raced swiftly past. For hours, I gazed both upstream and down. The size and power of the mighty torrent and the quiet roar as it rushed by took my focus off my troubles. The gentle breeze tickled my face. I scanned the azure sky. Standing on that rock, I recognized some measure of the vastness of the universe. There in the midst of God’s magnificent creation, I poured out my heart to Him. Why? How could you let this happen? What now? I’m my family’s sole support. How can we survive? Over the next few hours, I asked like questions repeatedly. At length, I received an answer to the question I should have asked. I began to comprehend how small and weak I was when compared with the size and power of that river. Yet, the universe made even the Mighty Mississippi seem minuscule. Even more importantly, the Lord reminded me that He made all of creation, including me. With His help, I remembered that He loves me, that He wants only good for me, and that He promised to provide for me. 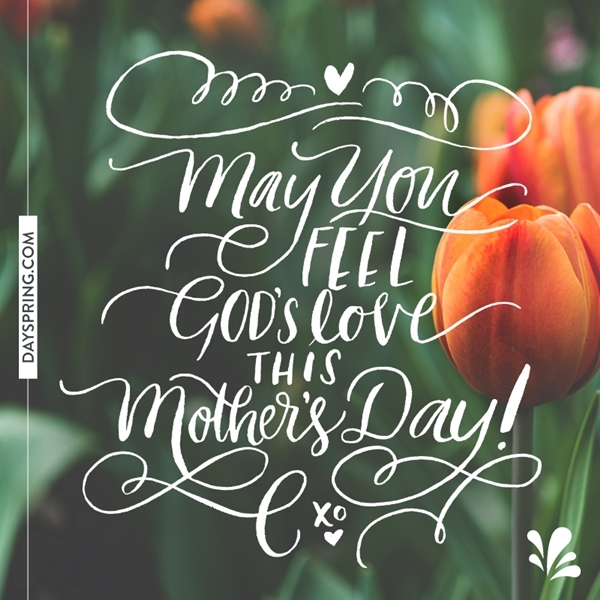 I went home with renewed hope and peace in my heart, knowing I could face an uncertain future because my God remained in control, and He would provide for me. No, I did not expect God to hand me another job. I knew I would have to send out resumes and make calls, but I could leave the results, and the worrying, up to Him. And I did. For the most part. I would like to say that I completely avoided worry over the next few weeks, but, too many times, I picked that burden back up myself. Yet, whenever worry threatened to get ahold of me, I returned to my special place. There, as the waters surged by, I felt His presence in a special way. I experienced him in the vastness of the sky, the fresh, misty scent of the river, and the breeze rustling through the trees. The enormity of His creation reminded me again and again of his power and that He reigns. He spoke to me through those things, renewing my trust in Him. But, mostly, I poured out my heart, knowing He heard me. In so doing, I gained the strength and courage to persevere through adversity without losing heart. Over the next month, I spent countless hours by the river in prayer and meditation, as I experienced the wonder of God’s power and grace through various aspects of his creation. I felt closer to Him than ever before. Each time I visited my refuge, my troubled heart found peace. Moreover, God came through for me. After missing only five days of work, I found another job. What a Blessing! What a God! Author bio: Gary L. Breezeel is a former attorney, minister, and government accountant. Throughout all those various career changes, he dreamed of being a writer when he grew up. Finally, upon retirement from his position with the U. S. Department of Defense, he fulfilled his dream. Gary moved to Arkansas in 2010 with his wife of more than forty years to be closer to his grandchildren. 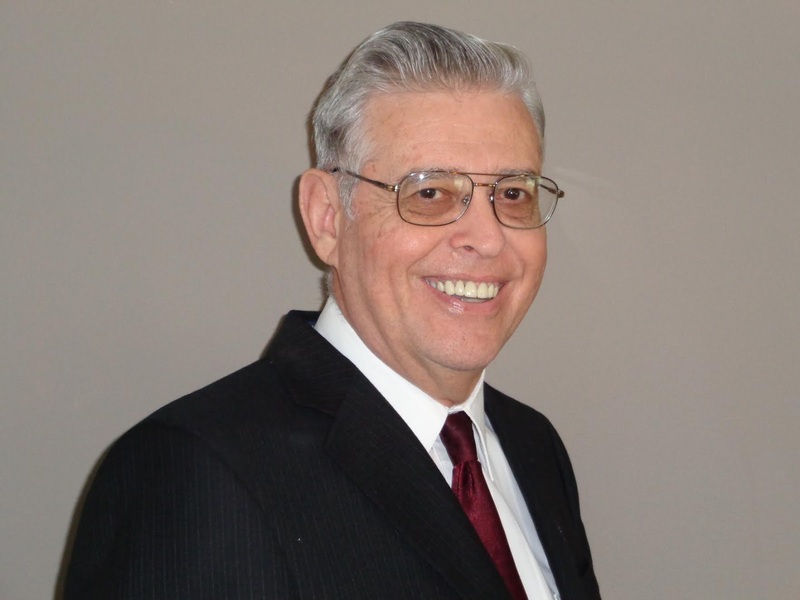 In addition to his writing, he fills his days with reading, feeding his television addiction, touring Arkansas, and attending sports and other activities involving his grandchildren. Gary is a member of American Christian Fiction Writers. His short stories, essays, memoirs, and poems have won numerous contests. One recurring theme in his work is baseball. He is a lifelong fan and several of his stories have a baseball setting. Gary has completed a draft of his first novel and is making slow progress toward getting it ready for publication. This is my life verse. Why? Because I’ve seen a lot of people do the “right” thing for selfish reasons and it surprised me how strong the cult of image can be within the church. What I’ve discovered in my own faith walk is that it’s between God and me. No one else. Who I am when no one else is looking? That is my character and what I will answer for, not for teaching Sunday School for 52 consecutive weeks in a row, or never missing a Sunday service. What I do for Jesus and my faith should be an outpouring of the love He’s shown me. It should be a natural extension of who He created me to be. Not something that will impress my fellow Christians. Before I committed my life to Jesus, I had a boyfriend in college. He was the first born-again Christian that I’d really met. His family was all about rules and very black and white in their thinking. They were cold-hearted and scary. I remember their disdain for me because “I wasn’t a Christian” and their rejection and judgment. What I don’t remember is their kindness toward me, nor their love. In truth, looking back, I was actually too good for their son. They didn’t know who he really was behind the pious words and the false front. He was playing the role of Christian, but I didn’t see a lot of fruit to prove that he actually was a Christian. One day, this boyfriend invited me to dinner with teachers from his former Christian school. These people were warm and loving. They made me feel welcome in their home by accepting me for where I was in life. They asked me real questions about my faith and listened intently to my answers. In short, they made me want to know, Who is this Man, Jesus? It was less than a year from that dinner that I accepted Jesus as my Savior, but more than my faith, these people helped me realize what kind of Christian I wanted to be in life. I never wanted to be the kind of Christian who kept people FROM knowing Jesus, the kind of Christian who portrayed myself as better than others. I wanted to be the kind of person who loved people for who they were — not who they might be if they were saved. People aren’t notches to be ticked off and put over in the “saved” category. They are living, breathing human beings, each with their own special set of troubles and emotional baggage. I want to speak the truth in loving kindness like Jesus did with the woman at the well. Life is tough enough for people. I don’t want to add to their pain by seeing myself as better than others because I’m saved. The truth is, I’m only saved because He loved me first, not because of any special qualities I have to offer. God knows my heart. He knows my motives, so I try intensely to keep those pure. And in turn, keep a pure heart. 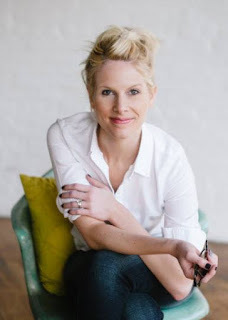 Kristin Billerbeck is the bestselling author of over 45 novels, including What a Girl Wants and A Billion Reasons Why. 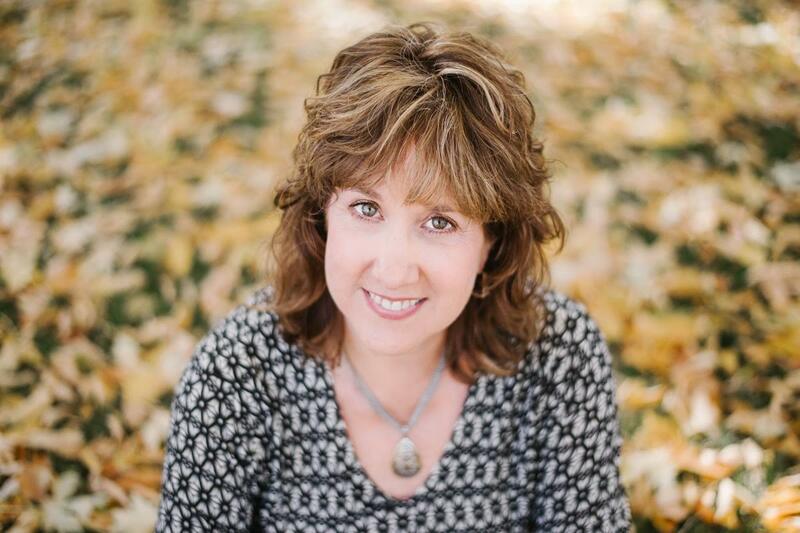 Kristin is a Christy Award finalist and two-time winner of the American Christian Fiction Writers’ Carol Award. She has appeared on the Today Show and has been featured in the New York Times, the Atlanta Journal Constitution and World Magazine. A proud mother of four, she makes her home in the Silicon Valley of California. When Calls the Heart is a delightful movie featuring Erin Krakow, Daniel Lissing, Jack Wagner and Lori Loughlin. The movie is set in the past, focusing on a family-friendly town founded in the pioneering days of America. The genre of this movie is drama. It’s based on a book written by Janette Oke. Rosemary LeVeaux (played by Pascale Hutton) poses as a married woman, convincing Lee to pretend to be her husband because that’s a fine print requirement for the winner of the essay contest. Hilarity ensues and makes the viewing audience laugh at the extreme measures Rosemary goes to keep up the charade. She works hard to convince the newspaper reporter that she is married. But she works even harder to shine the spotlight on her beloved town in a way that impresses the reporter in the best way possible. Meanwhile, Bill Avery (played by Jack Wagner) works hard to convince Jack that he’s behind bars for the wrong reason. He did not commit the counterfeiting crime. This subplot provided a healthy dose of suspense and intrigue. It made me as the viewer want to figure out the mystery. The plot twists were unpredictable and kept me guessing until the final second when the answer was revealed. Amidst the main plot and subplots is a segment of this film that will tug at your heartstrings. It’s the part of the story that features two young children—a brother and a sister—both under the age of 15 who ran away from home and are camping out in the woods. The young boy sneaks into town to steal food and wood for the campfire. But by after a few hidden attempts, he’s caught red-handed by the hotel owner/cook Abigail Stanton (played by Lori Loughlin) and the schoolteacher Elizabeth Thatcher (played by Erin Krakow). These two women take him and his sister under their wing and try to find out about why they ran away. But these two young children are not very trusting nor open, at first. 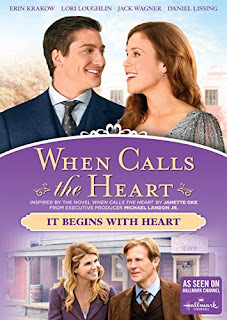 There is a sweet love story weaved throughout this movie and it centers on Elizabeth working hard to win back the love of Jack Thornton (played by Daniel Lissing), the only man who she wants. But after witnessing another man propose marriage to Elizabeth, Jack is guarded with Elizabeth and questions her true intentions. Aside from the engaging dialogue and satisfying storyline, the filmmaking aspects of this movie deserve attention. So here it is: The costume design for this movie was impressive. The women’s bustle petticoats were true to the time period and the men’s boots and straight-legged trousers were historically accurate. The acting was pretty good and convincing. The actors played their parts with candor and composure. The storyline swept you away into the fictional town of Hope Valley and made you feel like you were a member of their community, watching the story unfold. My overall reaction to this film was good. It was an old-fashioned story filled with family values and themes of hope and restoration. I’d recommend this movie to anyone who wants to experience a heartwarming story and companionship of characters that have your best interest at heart, even if it’s only for the 88-minute duration of the movie. *FishFlix.com, a web store that sells Christian Movies, provided Alexis A. Goring with a complimentary copy of When Calls the Heart - It Begins with Heart DVD (movie) in exchange for an honest review. God loves your dear heart! Keep shining your light of love, providing, blessing and protecting your children. They are BLESSED to have a GOOD MOM like you! It was a balmy summer night when our mother came in and woke us with the warning. My sister and I have been asleep in the guest room of our grandmother’s home, which just happened to be in a town at the top of Tornado Alley. Soon we found ourselves crouched in a hallway in the middle of the night, with what sounded like a freight train bearing down outside. To this day, the tornado that swept through our small hometown is still talked about; there was so much fear when the storm was raging and a huge amount of damage to clean up in the aftermath. Locals say it was survived, but not forgotten. It’s what storms feel like in our faith journey, isn’t it? There’s uncertainty swirling just past the point where we can see. Our health might be in question. A relationship crumbling. Maybe we never imagined to be standing in an unemployment line or receiving dinner from a food pantry, but suddenly there we are. It may be that our dreams are falling apart right before our eyes, and there’s little we can do to stop it. We might not have expected it, the gale is upon us. Waves are raging and the wind roars. And all at once, we’re overcome with fear. You’ve likely heard the story before. The disciples were in a boat with Jesus, crossing a lake from one shore to the other. He’d fallen asleep and a terrible windstorm came down upon them. And this is where the uncertainty begins, along with the exhaustion and anxiety and doubt and fear…“What do we do now?” I imagine them crying out against the wind. 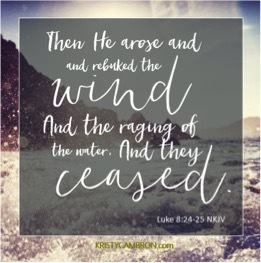 The Greek word used for the raging water in Luke 8:24 is [kludón]— it comes from a word that literally means: to wash over. The description we have in this verse is not a ripple of water. It’s not just a wave. In fact, it’s so violent that in the midst of this type of storm, we’re completely submerged. The Greek word used for calm in this same verse is [galéné]— and it comes from a root word that means: I laugh, or smile. During my father’s chemo treatments, our family was facing a storm. And after we had to say a “goodbye for now” at the end, we were emotionally barren and completely washed over. I remember asking my mom after the memorial service if we would ever laugh again. I wanted to go from being washed over to once again feeling authentic joy. If you’re washed over today, know that Jesus is the catalyst for calm in the rough waters. He’s always present, quick to action on our behalf, and most important, He’s always in control. If you’re uncertain, if you’re doubting that you can make it through the raging waters, I need to tell you that you’re not alone. I know this, because I’ve been washed over too. I’ve been in the boat as it crossed to a distant shore. The wind screamed and the waves raged. I cried out for help. I lacked faith. And now? I smile at least once a day. I feel the calm not because of the lack of storms, but because of His absolute faithfulness through them. Kristy's third historical novel, THE RINGMASTER'S WIFE, was named to Publishers Weekly Spring 2016 Religion & Spirituality TOP 10 and will release from HarperCollins in June 2016. 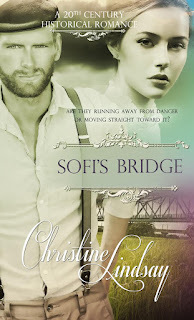 I'd like to introduce you to Christine Lindsay, author of Sofi's Bridge. The book just released today! In it, she's written on the topic of how people deal with grief. She also touches on the subject of mental illness and how society has evolved in dealing with those who have "nervous" problems. She does all of his through her new novel, Sofi's Bridge. I hope that you will enjoy my interivew of this talented author. *Questions by Alexis are in bold, answers from Christine are not in bold. Alexis: Why did you decide to make your heroine, Sofi, a debutant? Christine: I wanted to counterbalance the life of a wealthy character against one who is financially poor. True joy and satisfaction in life doesn’t necessarily come from financial wealth. Sometimes money brings its own challenges. Why does Sofi feel so fiercely that she must protect her sister? Sofi grew up caring for her younger sister because their mother (a simple farmer’s daughter) never adapted well to being the wife of a wealthy man. Sofi’s mother lost a part of herself in the process so that she wasn’t the mother she should have been, causing Sofi to step in and be more to her sister than was good for all of them. How did Sofi’s dad die? How is that detail significant to the story? Sofi and Trina’s dad drowned when Trina was sailing with him in what used to be called the Strait of Juan de Fuca. Sofi’s Bridge is about how different people deal with grief, and the stages of grief. For example, some people struggle with survivor’s guilt, while others might self-medicate themselves like Sofi’s Mother does when she is prescribed laudanum for her nerves. But Sofi’s Bridge is also about how Neil gives up his life in order to take care of his bereaved family back in Ireland. Why would Sofi’s sister Trina need to be admitted to a sanatorium? Trina is suffering from what we today call Post Traumatic Stress Syndrome. Back in 1913, the whole science of mental health was making huge breakthroughs, as my character Neil notes about lectures he attended by psychiatrists Sigmund Freud and Carl Jung. At that time it was not unusual for people, women especially, to be admitted to an insane asylum for bad nerves. Sofi’s Bridge touches on that new awareness regarding mental illness at the beginning of the 20th century. Where in your fictional story world are the Cascade Mountains located? Describe the look and feel of that mountain area. What makes it special? The Cascade Mountains is a real place in the northern, central part of Washington State and going up into Canada. I live about an hour’s drive from the Cascades, and one of my favorite places in all the world is the alpine meadows in a park on the Canadian side of the Cascades. One of my favorite scenes has my characters sitting in that alpine meadow where the peaks of blue-tinted glaciers seem close enough to touch. The flowers are native only to great heights and create a carpet of color from red Indian Paintbrush, blue lupine, white daisies, and so many more. Up there, all you hear is the silent rush of the wind. It’s like touching the sky. Neil Macpherson, a gardener, wants to protect Sofi and Trina. Why? What’s his motivation? Neil has a similar personality trait as Sofi. He too is a caregiver, a nurturer, which are traits found in many nurses and doctors. The downside to that trait is Neil can’t help himself from helping others even to his own detriment. No matter what is happening in his life, he will always do his best to uphold his Hippocratic oath. What is it about Neil that attracts Sofi? His caring heart, the tender way he tries to help her sister. But it is also his belief in Sofi’s intellect. In a time when a wealthy society frowns on women working for a living, Neil encourages Sofi to pursue the labor of her heart. He knows how fulfilling it is to do the work that we feel created to do, and how devastating it is to not be allowed to do that work. What is it about Sofi that makes Neil’s heart melt? Whenever Neil talks to Sofi he feels he is talking to an intellectual equal, and also that she has no biases about people. He wishes with all his heart that he could tell her the truth about himself, believing if anyone could understand it would be Sofi. Why does Sofi have trouble trusting Neil? He is masquerading as a gardener, hiding his true profession. Whenever she asks him, and sometimes pleads with him, he will not tell her why he left Ireland, nor why he is no longer practicing as a doctor. You’ve got quite the plot twist with Neil’s secret! How does his secret affect the story? One the plot lines in Sofi’s Bridge is how people deal with grief. The character flaw that both Neil and Sofi share is that they feel they are the only ones who can save the ones they love, and thereby give up their own lives in the process. What’s the “act of faith” that bridges the “distance that separates the lies from truth and safety”? Tell us what you can without giving away the plot. The bridge in this book is a metaphor for the bridge of Jesus Christ, only Christ can safely take people by faith to a life with God the Father. But the “act of faith” is different for each person in this story. Sofi, already a believer, must learn to trust God and take up the labor He has inspired within her, no matter how physically dangerous that work may be. Neil’s act of faith will be recognizing that his own attempts to save the ones he loves has created a web of lies that have only made the situation worse. How does your journey as a woman of faith play into this story? There were so many reasons for Sofi to not pursue her dream, and being a Christian writer these days is a difficult journey. I gave up an excellent career as an administrative assistant at a local Christian university to pursue my writing full-time. This was an act of faith on my part. Yes, there has been financial loss, but I get such delight when a reader is encouraged in their faith because of something I wrote. Much of my journey trusting God for my creative life as an author comes through Sofi when she talks about building bridges. 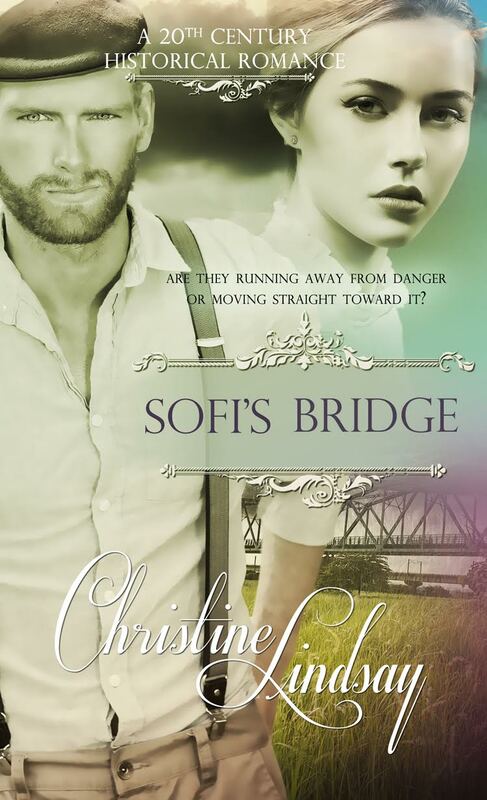 What did you love the most about writing Sofi’s Bridge? Why? As I mentioned in the previous question, trusting God for the creative labor He placed in my heart is what I love most in this book. So many of us—men and women—have a certain labor that makes our hearts sing. Sadly in life, we don’t all get to do the work that gives us the greatest fulfillment, but as in all things, we can look to our wonderful God and trust Him for the desires of our heart. With a complex mystery twist, it was a bit challenging in places to make all the characters’ actions and motivations plausible, but I believe I made it. What was your go-to food or beverage while writing Sofi’s Bridge? I’m Irish born, so my go-to beverage is always a pot of Irish Breakfast tea, or good old Red Rose orange pekoe. What do you want your readers to treasure about this book? I want readers to be encouraged that often the dreams in our hearts have been placed there by God. Ask the Lord if that secret dream in your heart—such as mine was to be a writer—was put there by Him. Then trust your heavenly Father to help you toward that goal. Keep in mind, that often it is the journey toward the goal that is important to God and not necessarily success as seen by worldly standards. Please drop by Christine’s website www.ChristineLindsay.org or follow her on Amazon on Twitter. Subscribe to her quarterly newsletter, and be her friend on Pinterest , Facebook, and Goodreads.